Family Day: Five meaningful activities! Margaret Fuller, a women’s right advocate once said: “Today a reader, tomorrow a leader.” Reading books together is always a great family activity, but this Family Day you can help make it even better by reading books that help teach about social justice. Check out your local library or book store and pick up a book that will widen your child’s perspective and get them thinking about how they can create a positive change. You can find books like We Are All Born Free which was published in partnership with Amnesty International to teach children about The Universal Declaration of Human Rights. 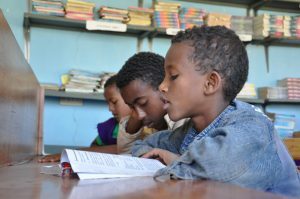 Or, a book like Malala Yousafzai: Warriors with Words, written by Karen Leggett Abouraya that shows the power of a child’s voice and the importance of education and girls’ rights. Click here for a full list of 7 inspiring children’s books to motivate your young activist. Has your child had questions about something they heard online or on the TV? Have they expressed concerns about climate change, world hunger, or refugees? This Family Day, take some time to research about an important issue together, and then share what you learn with your community or school! Put together a do-it-yourself awareness campaign with hand drawn posters, fact-sheets, brochures or petitions to share with your neighbours and friends. You can help increase your child’s awareness of issues around them and help them learn to use their voice to create positive change. 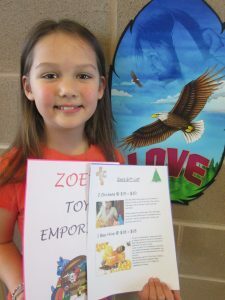 Zoe rented a table at her school’s bazaar and set up “Zoe’s Toy Emporium” where she sold used toys and homemade Christmas crafts and raised $47. She donated it through CFTC’s Best.Gift.Ever gift catalogue. 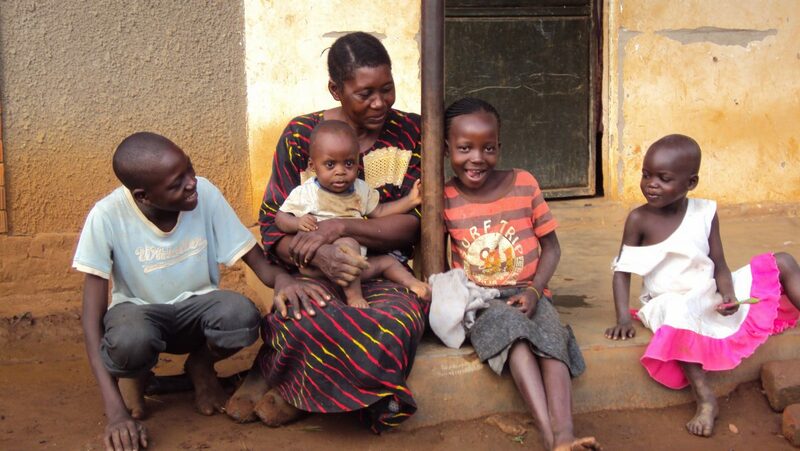 Does your family give a financial gift to a charity each year? Do you sponsor a child in another country, or donate gifts during Christmas to a local family in-need? One of the most meaningful conversations you can have with your child is about your family’s generosity and what commitment you have made to give back. You can get your child more involved by asking them to pick a cause that they feel strongly about, and then asking them to donate or fundraise for it! They can donate their birthday gifts using a service like Echoage, or they can fundraise for a cause close to their heart through a bake sale, lemonade stand, or magic show. You can still teach your child about important issues even if you get snowed in this Family Day – and you can stay in your pajamas! There are many children’s movies and child-friendly documentaries that can help teach your child about world issues or that can help spark a family conversation. Common Sense Media has a great list of movies and documentaries, listed by age appropriateness, that can help inspire children to change the world. From The Lorax – based off the Dr. Seuss classic – teaching children (and parents!) about the importance of protecting the environment, to Bully (age 12+) a “no-holds-barred documentary” that deals with tough issues relating to bullying and is a good resource for parents to guide discussions, there is no shortage of life-changing content available. Start a new family tradition this year and volunteer as a family on Family Day! You can help out at the local food bank, visit residents of a senior’s home, or clean up the park near your house – there are so many ways to support your community. Learn new life skills. By working as a team, taking on leadership roles, and taking on a sense of responsibility for a project, volunteering can help give children new, meaningful experiences. Build self-esteem. Volunteering gives children a chance to use their skills and be proud of something they have worked towards. Appreciate an inclusive society. Working in community service can introduce children to people of different backgrounds, abilities, and ages. Inspire future action. Volunteering is an empowering experience and can teach children (and families) that it feels good to give back to their community. Whatever you choose to do to help teach your child that they can change the world, we hope that you have a great Family Day!